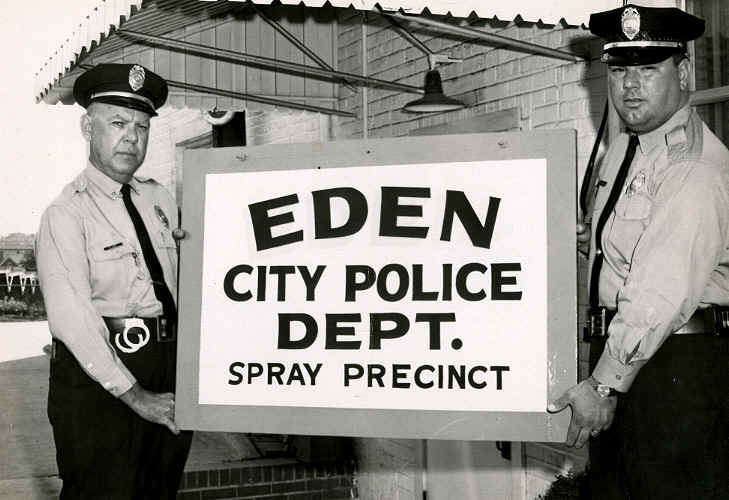 Thanks to Spray native Michael Patterson for contributing the following photos. 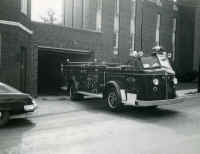 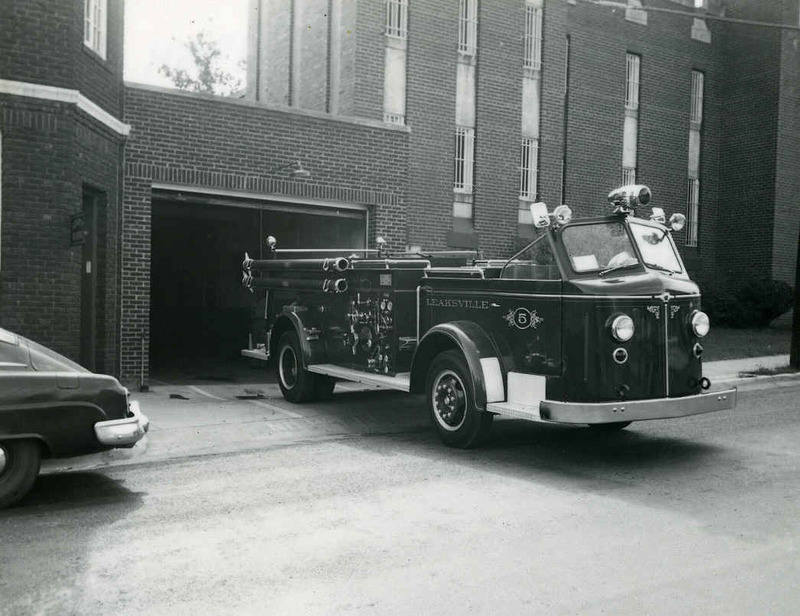 11- Another photo of the above 1954 American LaFrance 750 G.P.M. 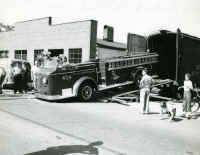 pumper. 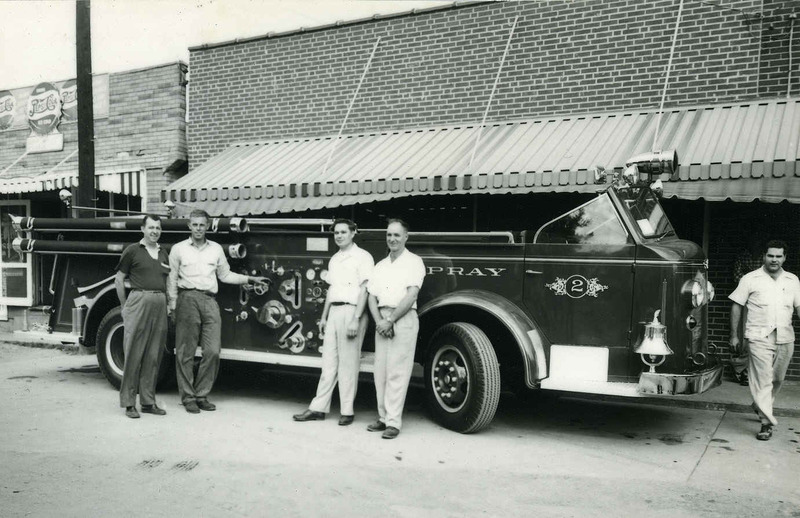 215 hp motor...Cost was $15, 922.50, and was substantially similar to the fire truck ordered by the Town of Spray on February 2, 1954. 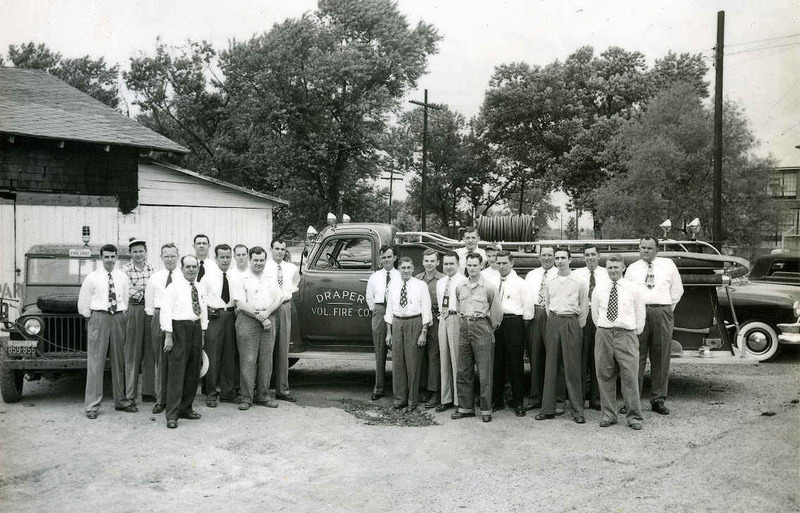 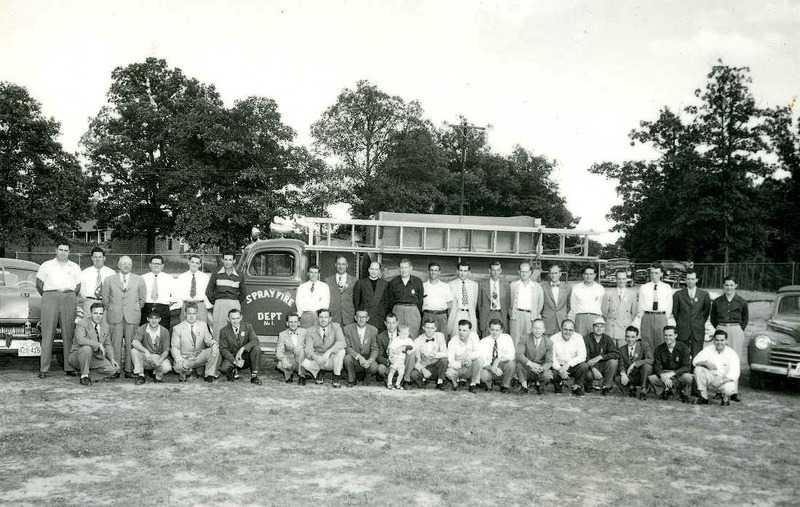 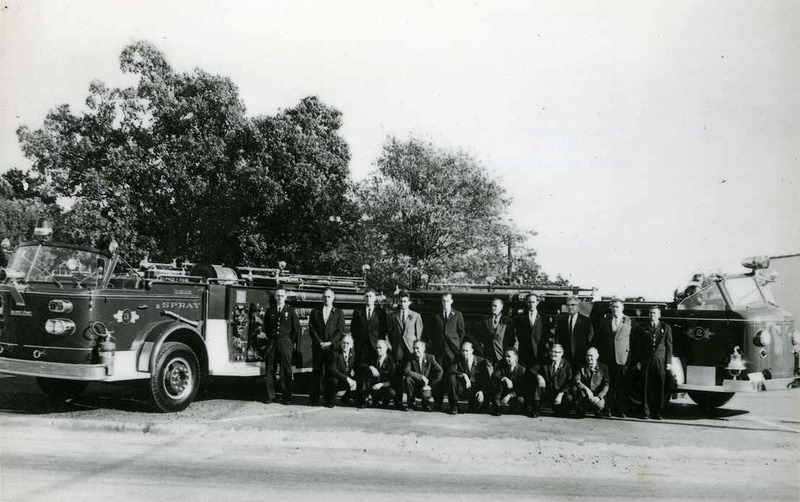 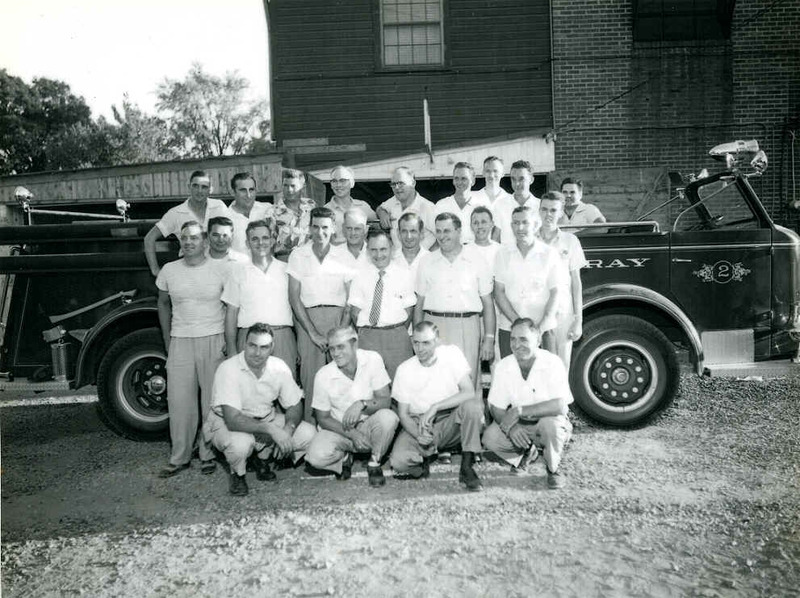 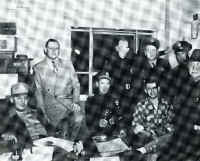 13- 1949 Draper Fire Department (L-R) Billy Hairfield, Dickie Powell, John Talbert, Kenneth Shope, Jasper Gammons, Raymond Hankins, Tom Stephens, Chief Marshall Law, Asst. 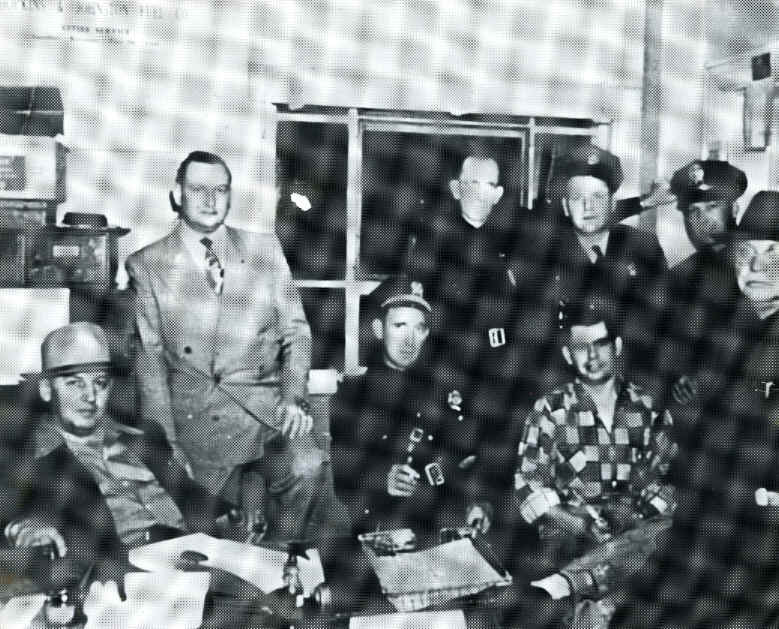 Chief Tom Spencer, Eph Harmon, Willie Hairfield, Nolen Powell, Harold Squires, Robert Powell, Burdock Burch, Bud Willis, John Weatherford, Slick Horsley, J. Slayton, J. R. McGavish and Moonlight Murphy. 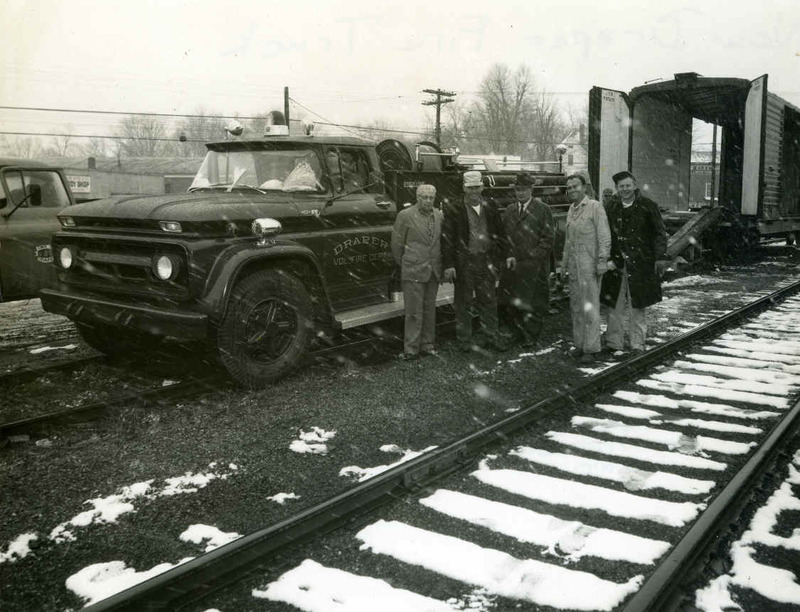 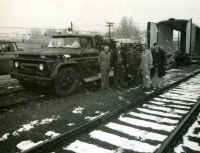 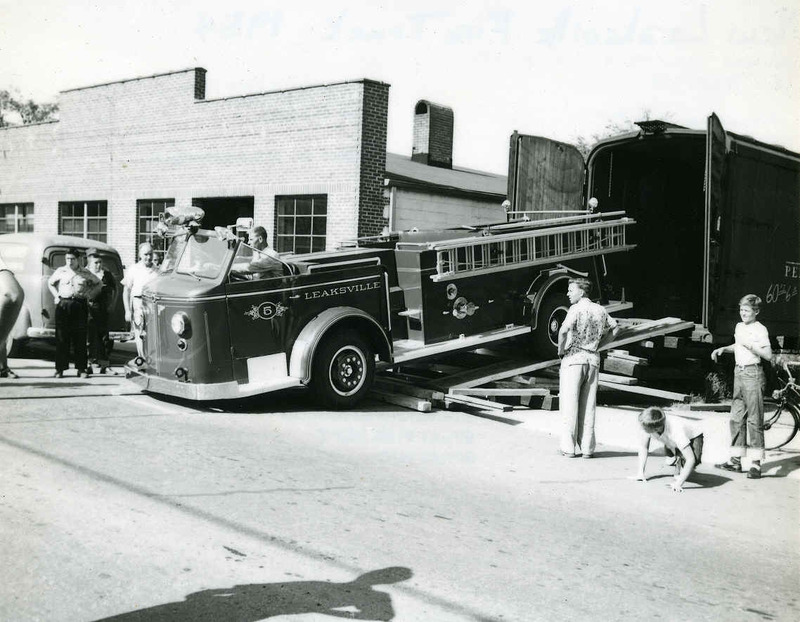 14- New Draper Fire Truck is unloaded from the train in Leaksville in 1961. 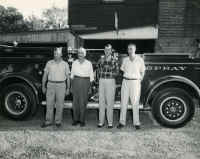 Pictured are Earl Pruitt, Bud Lewis, Jim Bailey, Eph Harmon, and Dickie Powell. 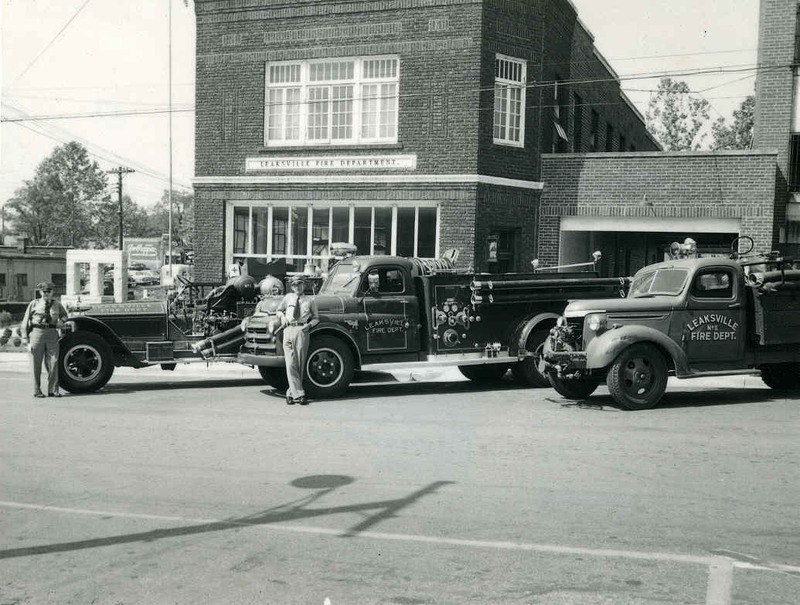 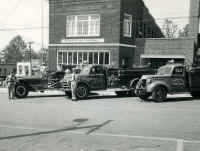 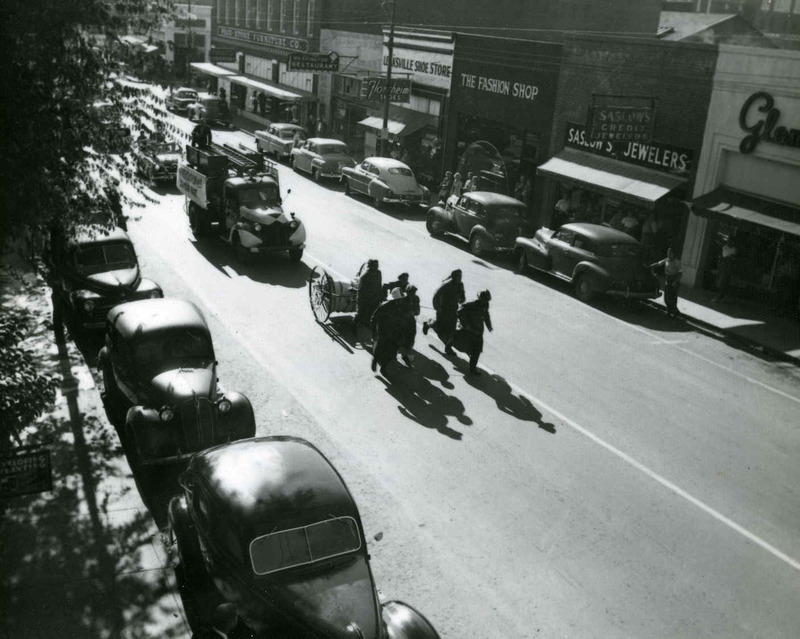 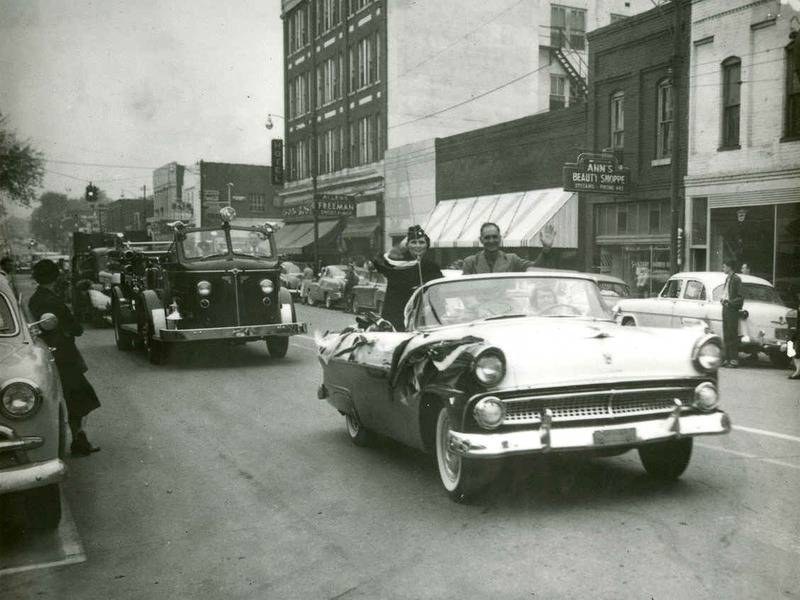 16- 1951 Fireman's Parade featuring the old Spray fire truck. 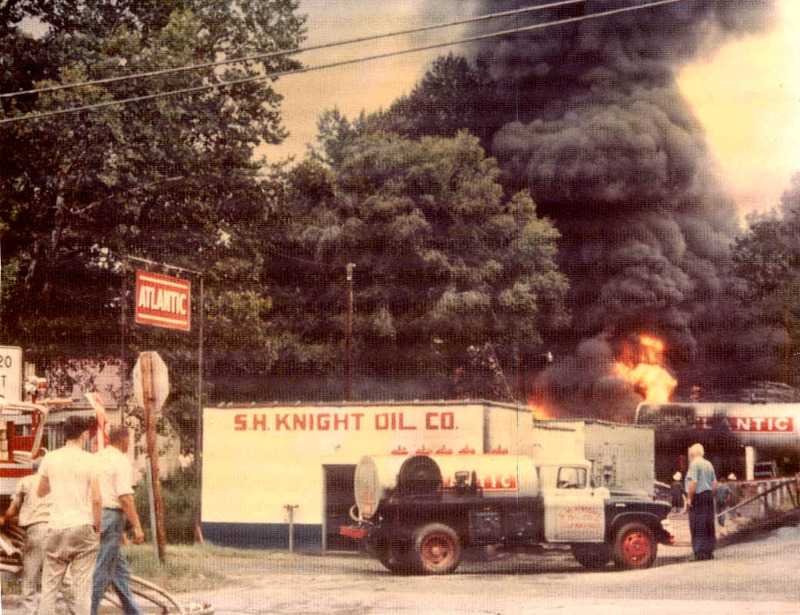 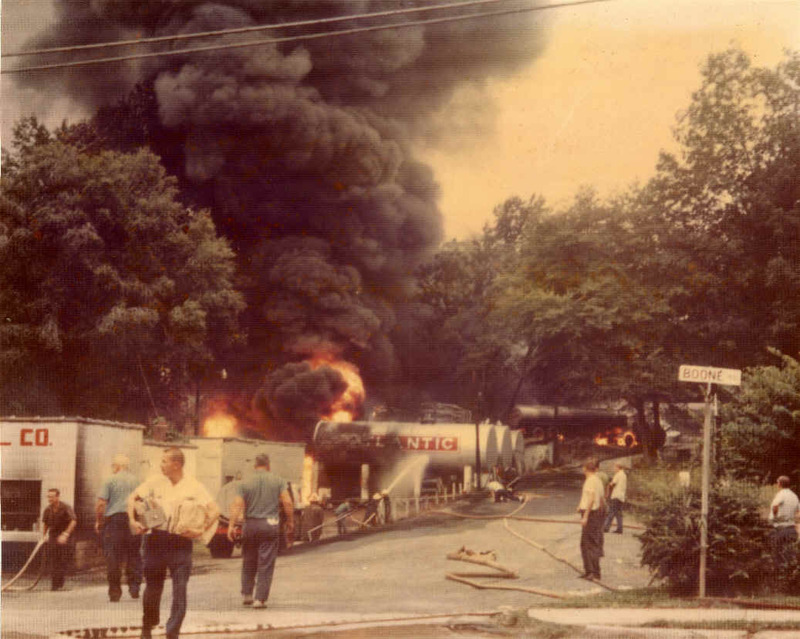 21- 26 S.S. Knight Oil Company Fire August 24, 1965. 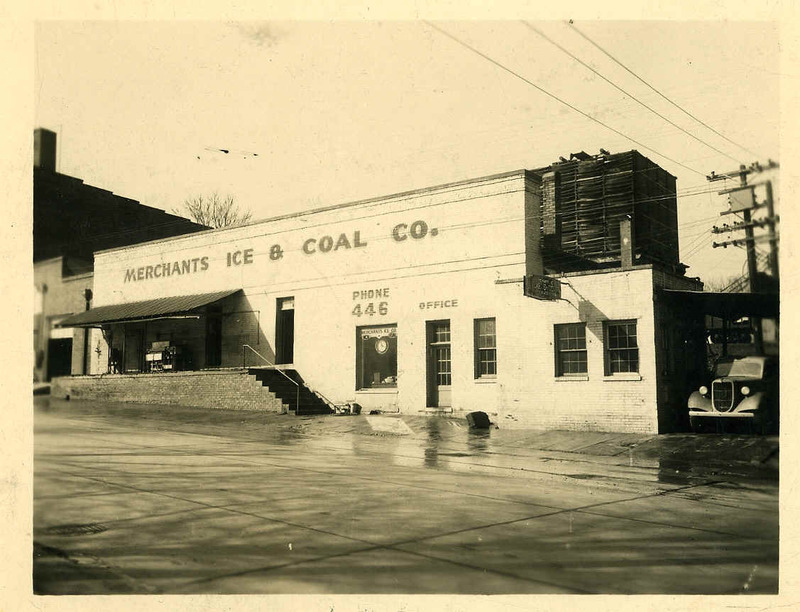 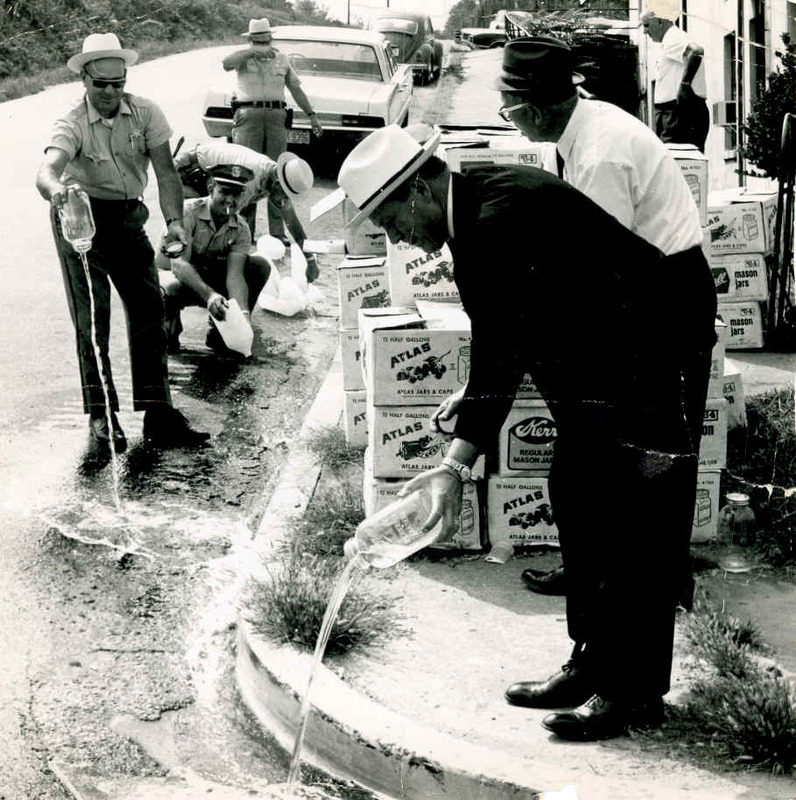 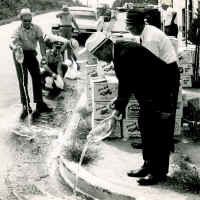 Woody Vestal, Spray Fire Chief, risked his life to crawl under the tanks to turn the valves off. An explosion would have left a charred crater a quarter of a mile wide. This fire was started by a collision of a tanker truck and a train (see photo #24-25), which resulted in loss of life. 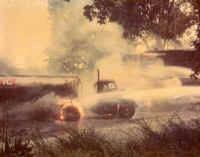 Fuel and fire quickly spread from the truck to the oil tanks. 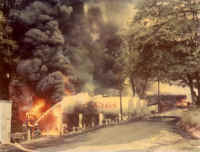 This was the worst fire in Tri-City history to that date. Corner of East Church and Greenwood Streets with Leaksville, Spray and Draper Fire Departments responding. 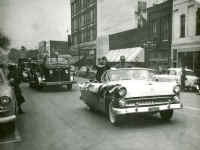 Click here for newspaper clipping.